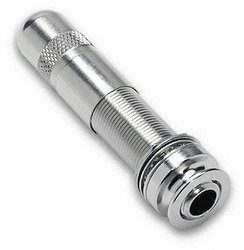 4-Pin Switching stereo endpin jack. The Fishman Switchjack" tightens from outside the guitar, for easier installation. It can be wired for either mono or stereo functionality with simultaneous battery switching. This product is a suitable replacement for all current Fishman products using an endpin jack.